A middle ground between Class C and a campervan is the Class B+ motorhome. It is smaller in length and height than the Class C RV but slightly longer, taller and wider than the campervan. Class B-Plus RVs have lengths of 17 feet to 30 feet, and a distinctively smaller cab-over area with no bed as is present in Class C RVs. They look like Class C RVs but with a less-pronounced stepped, boxy look although some models resemble a shuttle bus. They usually cost between USD $50,000 and USD $200,000. Notably, most manufacturers categorize an RV as a Class B+ if it uses the cab-over front for storage and/or TV section while the Class C is classified as such for including a sleeping area in the cab-over section. 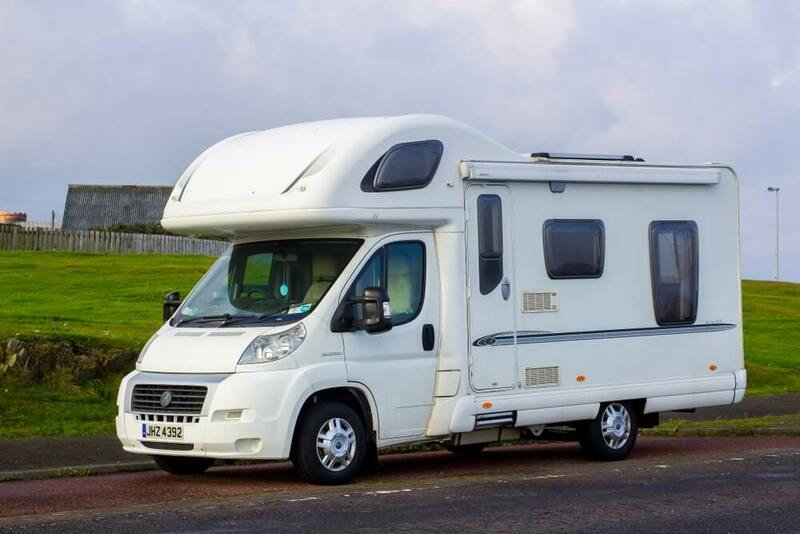 You get the usual amenities and features as you would expect in a Class B motorhome, but in a more roomy recreational vehicle. The Class B+ has enough space to sleep two to eight people even though 2 to 4 is more than enough. Sleeping; folding sofa/queen or king size Murphy bed. Full standup shower stalls with privacy doors. Hitch for towing a smaller vehicle or trailer. Armless electric awning with LED lighting. Full-size appliances; 2-burner cook stoves, microwave, fridge/freezer. Power supply; propane generator, inverter, solar panels, large capacity batteries. High BTU furnace, water heater. Frameless Windows with awning-style opening mechanism. Storage; closets, cabinets, drawers, exterior storage sections. Extras; blind spotting and forward collision monitoring systems, rear and side mirror cameras, folding side mirrors, parking sensors, full diagnostics control panel, winterizing systems. Bathroom. Class B+ motorhomes have enough space for a full-bath unlike campervans which can only accommodate a wet-bath. While wet-baths in campervans feel cramped and lack enough elbow room, the case is not the same with Class B+ RVs. Shower stalls in these RVs can be used by people as tall as six feet or slightly taller thanks to the utilization of the skylight and overall height of the RV. Bedroom. Campervans have folding sofas and other convertible options for sleeping space while Class B+ home on wheels utilizes folding sofas/murphy bed options as well as convertible dinettes. The conversions in a Class B+ are simpler and quicker unlike in campervans. Living/Storage Space. Class B+ RVs have a considerably larger space for storage and living which is especially enhanced by having slide-outs. Exterior storage compartments, drawers and cabinets are usually many and more spacious in Class B+ motorhomes than in campervans. Cab-over space. Most Class B+ RVs have small streamlined cab-over area that can be used for storage or as an entertainment section. On the other hand, campervans are just regular vans converted into small-sized motorhomes with no cab-over sections. Fuel Economy. Campervans have the best fuel economy while Class B+ RVs forego a bit of fuel economy in favor of more power for towing and better uphill acceleration. Driving. Class B+ are slightly less maneuverable as compared to campervans. Campervans are smaller in size allowing for easier driving and parking making them ideal for tailgating and making daytrips. Who Is The Class B+ Motorhome Best Suited For? Which type of RVer are you? The answer to this question will to a great extent determine the quality of RV build, floor plan, features and upgrades to consider when getting an RV. Generally, there are six basic types of RVers. Vacationer. This RVing lifestyle entails taking your family to popular travel destinations for a couple of days or weeks at a given time especially during the summer season. The RV provides a familiar home setting away from home. As such, you may want to invest in a comfy above-average RV to avoid high airline and hotel expenses. Snowbirds. These RVers head to sunnier locations once winter befalls their home grounds, and will return back in spring or early summer. The durability of the RV is key here as it must last up to six months of continued use. Other factors considered by Snowbirds include winterizing systems, ideal floor plans, one-piece shower stalls and high-end kitchen appliances. Boondocking. Also referred to as RV Trekking or dispersed camping, boondocking requires a sturdy chassis and good-quality suspension system. This is on top of durable and high-quality components with ample accommodation of at least two people. For this type of RVer, a rugged premium RV would be more appropriate. Camper or Weekender. They take short trips in RVs usually for a weekend or for one week only. These kind of RVers seek to break out of their daily work-life routines and will at most spend less than 45 days cumulatively in their RVs annually. For this purpose, one can go for an entry-level and economical RV option. Working Solos. These type of RVers treat their RVs as mobile offices and will prioritize things like internet access, automatic roof-mounted satellites and generally high end amenities and features. Professionals who are work solos include salespeople, entrepreneurs and sometimes field scientists. Work Solos will mostly go for premium RVs. Full-timer. For this type of RVer, the RV must be top-notch in every single way as it is their only home. They spend 9 or more months per year in it. This means high-quality and durable amenities and features, ideal roofing and insulation and so on. A Class B+ will be ideal for an RVer with a keen interest on fuel economy over additional sleeping space. The RV is more ideal for couples or a single buyer looking for a minimalist Class C-like motorhome. The compact size of the RV allows for easy access to remote campsites without worries of maneuvering tight spots and windy roads. The B+ RV is especially popular with retirees because it's larger than a campervan but not as large as a Class C motorized RV. It will also be the go-to pick for urban or stealth campers. Urban campers require smaller RVs for mobility, ease of parking and driving without drawing too much attention on themselves. It makes sense to go for a small RV even if your family tags along every now and then. This is because the huge space in a large RV would end up underutilized. In essence, you could have simply opted for a tent for extra sleeping space for family members and other guests. Amount of interior space needed. This RV type can also be ideal for anyone looking to downsize without giving up too much comfort in terms of amenities and features. In general, it is always a good idea to confirm the MSRP with the manufacturer before committing to a purchase. 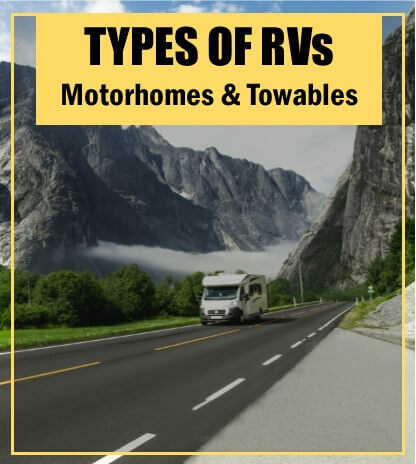 Also ensure you do a couple of practical tests before purchasing the RV so as to get a good feel of how the experience will be living in the motorhome. And lastly, "used" is always better if working with a tight budget. These motorhomes still offer better fuel economy than Class A and C RVs, ranging from 12-18 miles per gallon. They also have a streamlined body design; the cab and body have a seamless build for maximum aerodynamics. Class B+ RVs have a spacious campervan-feel thanks to the wider space and the many automated systems integrated into them. The captain chairs swivel at the touch of a button for easy access to the living space. There are also easily accessible pullout dinner tables that can be put away when not in use. The same goes with the included TV; manufacturers install them on swivel stands for easy access and many viewing angles or in drop-in-cabinet options for space saving and aesthetic reasons. You also get to choose from many sleeping options that may include a Murphy bed, twin bed or queen/king bed. The sofa folds into a comfortable and spacious twin-size bed ideal for afternoon siestas while the Murphy bed is big enough for two and can be folded away when not in use. In campervans, you are forced to make the bed every time due to the limited space but that is not the case in B+ motorhomes. The size of a Type B+ RV is ideal for easy parking and accessing your favorite campgrounds and national parks. It also allows for easy set-up on any campsite. It will also fit in most parking slots and garages thus saving you some bucks on RV parking. Access to remote areas is further enhanced by the four-wheel drive options in most Class B+ motorhomes. The Class B+ motorhome has a large storage and living space as compared to campervans. This allows for more amenities and upgrades like full-size appliances, full bathroom stalls and so on. The space can be further maximized by using the included slide-outs or by towing a trailer at the back of the RV. Class B+ RVs have a similar chassis to that of standard Class C RVs, but with smaller aerodynamic bodies usually made of a single fiberglass shell build. The truck or van chassis of most Class B+ RVs are made by reputable companies like Ford, Chevy and Mercedes Sprinter. This results in a sturdy foundation with premium OEM features and paint-jobs. The popularity of the chassis brand translates to access to more service centers, affordability and availability of repair parts. A type B+ motorhome features the best of both worlds. From fuel economy, compact size and maneuverability of a campervan; to slide-outs, floor plans and larger spaces of a class C RV, there's really nothing more desirable. It can also be used as an extra family vehicle due to its compact family size and ease of driving. While the space in a Class B+ RV may be larger than that of a campervan, it is still not too much space. The size and space of this RV type is still too small to bring along many people– in fact it is more suited for two to four people at best. You may want to go for a travel trailer or a fifth wheel trailer if interior space is your main concern. Else you will have to get creative; packing light, getting a bike rack to help strap a kayak into place at the back of the RV or towing the motorhome behind your truck are a few innovative ideas. The Murphy bed in most Class B+ RVs doesn't allow for additional sleeping space since it drops down to the flattened sofa and in the process making the sofa unusable. Most manufacturers still make the exterior look too much like an RV going by the paint-job and body structure. This will definitely attract unnecessary attention especially if you are a stealth camper. Additionally, Class B+ motorhomes pack some extra weight due to the increased body size and slide-outs. This may offer slightly poorer fuel economy than campervans by up to 2-3mpg less. There's a lack of clear definition of what exactly entails a Class B+ motorhome despite the rise in popularity of these RV types. This has seen many companies overprice their models way more than even some Class C motorhomes. The minimalist appeal in campervans is also completely lost on Class B+ RVs as the latter has more storage space and room for bulky appliances. Class B+ recreational vehicles provide the convenience and comfort as enjoyed in home on wheels. This is without the fuel inefficiencies and bulkiness of coaches and Class C RVs. You also get better performance and a larger living and storage space as compared to campervans.